Get EGGcited for Honk! Auditions will be on March 18th and 19th, with callbacks on the 21st! We can’t wait for you to come and take a QUACK at auditioning! We are sure you’ll fit the BILL to be part of this adorable show! This isn’t a YOLK, we need you to come audition! 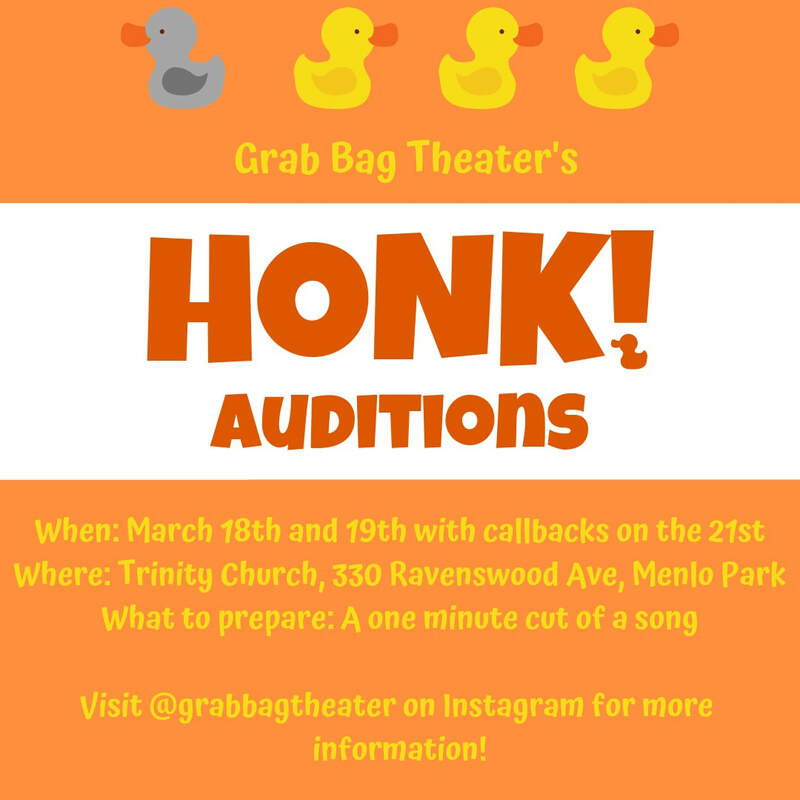 Please email us at grabbagtheater@gmail.com if you need help choosing an audition song, or want to know more about what to expect from the audition or rehearsal process. We can’t wait to see all of you EGGcellent talents on March 18th and 19th! Founded in 2011, GBT now produces many events a year, including open-mic nights, full-scale musicals, and arts festivals. Participants in these events come from more than a dozen different schools around the Peninsula. GBT works with students between 8th grade and sophomore year in college.